A wise business venture is not only guided by strict money wise decisions and foresights but also it is related to amicable relations between business partners. A simple Thank you note is all you need to strengthen your business relations but a delicate balance between curtsey and professionalism is also to be maintained which is not at all an easy task. However your job can be made easy if you go through our Sample Letters provided in the links below. 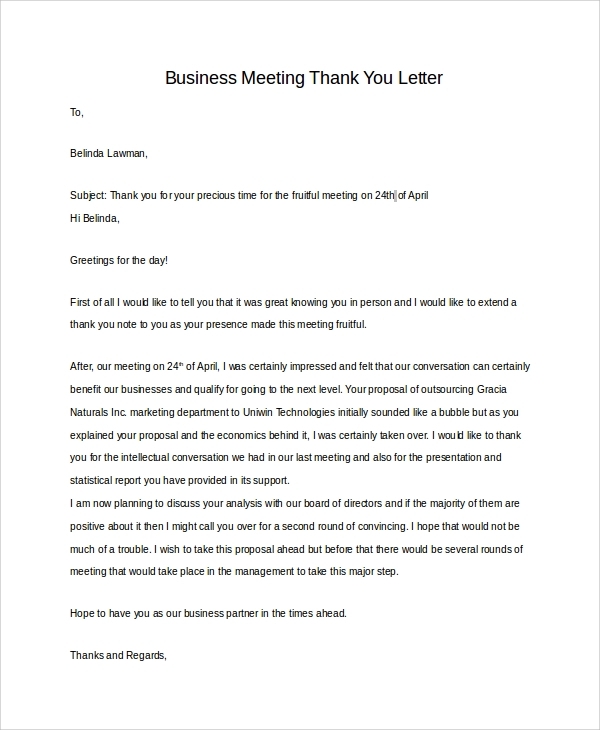 A warm gesture of thank you after a fruitful meeting with a potential client or customer, in the form of a thank you letter is all you need to strengthen the deal further. 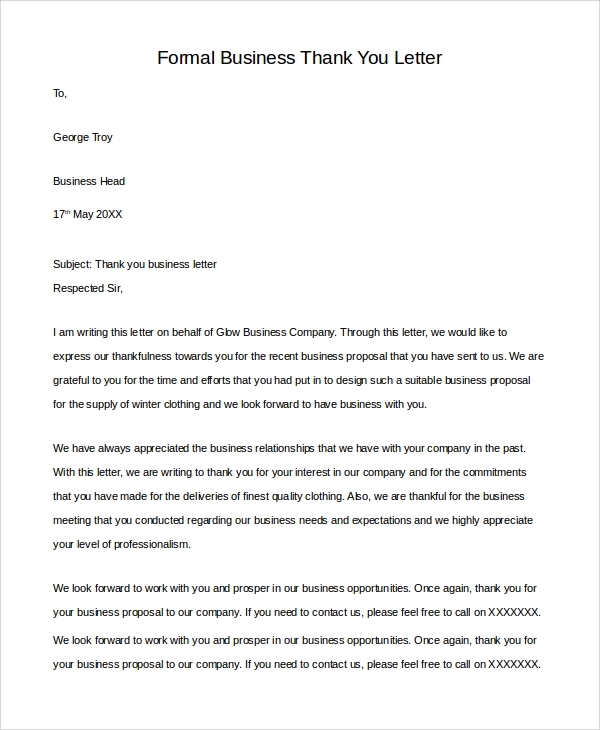 This Sample Thank You for Your Business Letters is all you need to strengthen your relationship with your prospective client. In today’s business world, only icy cold business foresight is not enough to earn the optimum profit and success for your venture. Soft skills are essential in today’s world. Professionalism and courtesy go hand in hand and our Sample Thank You Letters are your friend at hand while writing a thank you letter. Our varieties ensure that you find the right pick for all your time-based needs. Be it addressing your vendor or your financier or your long-term partner of business, our business letter formats are there to help you through all situations. The proper format and addressing system ensures that you get the maximum benefit out of the process. A vendor service is essential in your business venture. 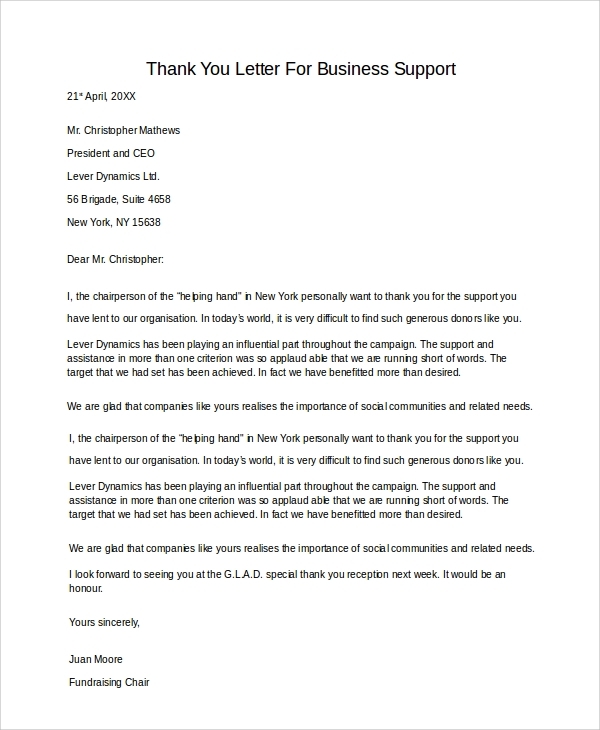 A thank you letter, showing your warmth for him or his organization is a fine blend of courtesy and business foresight. A support system is always needed to boost your business venture as well as taking it further. A thanking gesture to your supporters such as the board of members or your financiers is a wise business foresight. Be it large corporate or business sectors or a small venture or a start up. The effectiveness of a kind gesture is universal. Impressing your potential supporters, financiers as well as partners and customers with both your style and business capacity is the key to success. And our business letter formats are sure to strike the perfect balance between your ambition and soft skills. A Sample Business Thank You Letters is most helpful after cementing a deal or building up confidence with a new business associate. Don’t waste any opportunity to get into his good books by your charming soft skills while dealing with people. 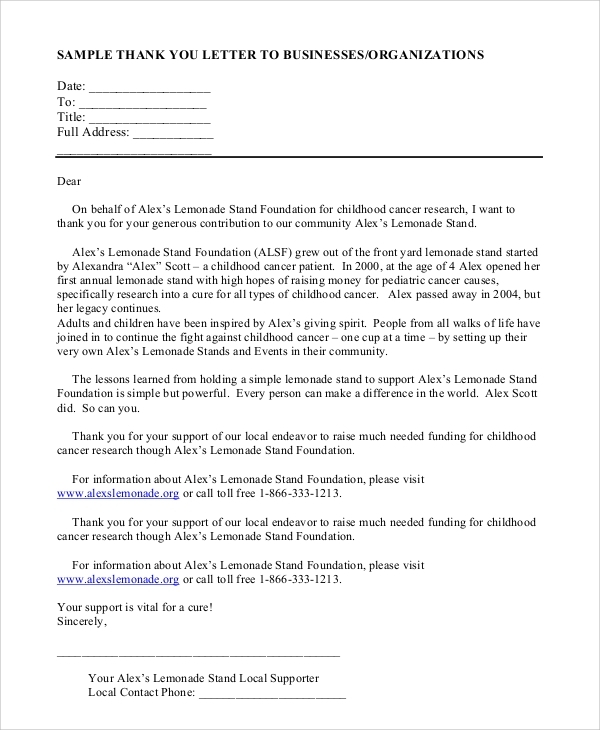 All the Thank You Letter Format Samples given in the descriptions are according to the perfect format to give you the maximum benefit of the process. 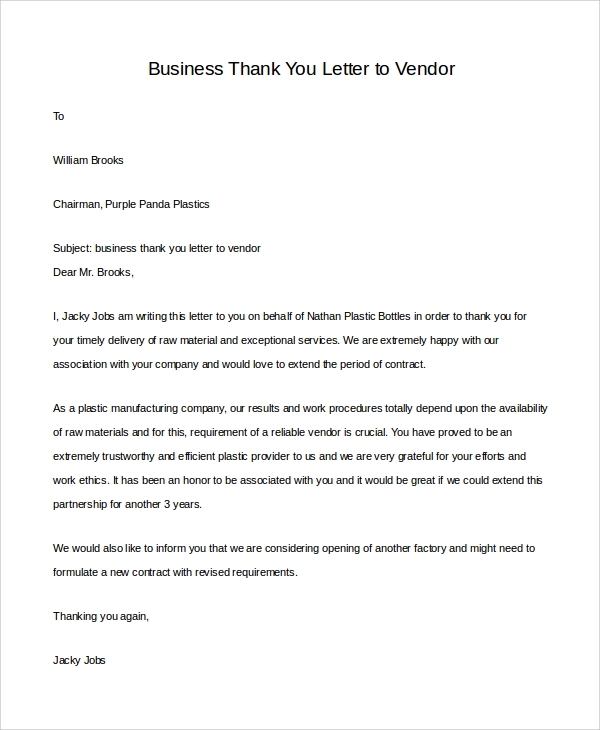 We guarantee you that all our sample letters are fit for all the occasions that you are going to face in your business career. So, with our little help you can expand your venture to new heights.